Offering you a complete choice of products which include tap liquid. We offer Premium branded Tap Liquid for Drilling, reaming and tapping applications. 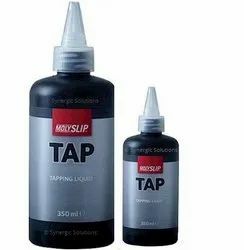 This Tap Liquid facilitates increased metal removal rates, reduces tool brakage and increases the tool life. * Drilling, Reaming & Tapping applications.